INDIANAPOLIS -- An average of 90,000 adults go missing in America every year. It's a statistic that doesn't mean much until it touches your family. "I just love her and I want her home. I don't know what else to do. We've been out looking and we can't find her. Even if they do it anonymously. I have to find her. I cannot live without knowing," said Sherrie Price. Price is Jaime Beasley's mother. 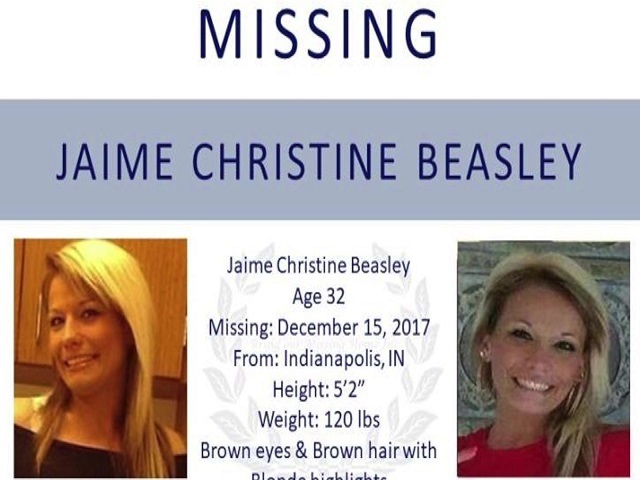 Jamie, 32, has not been seen since Dec. 15. She missed a Christmas celebration in Indianapolis and one with her mother in Kentucky. Jaime's family is putting up flyers all around the far eastside as they search for her. It's especially hard for her family since Jaime has a 9-year-old daughter named Brooklynn. "It's very hard cause she asks her grandma everyday where her mom is. And I know she don't know what to tell her," said Susanne Gill, Jaime's sister. Price says Beasley's boyfriend Jeff Myers was the last person to see her alive. He told RTV6 he had no idea where Jaime is. The police did show up at Myers house on Thursday to question him. They spent about an hour inside. Indianapolis Metropolitan Police Department Detective Vince Stewart says investigation is open and ongoing. "I fear that something bad has happened to her and I just want to find her and bring her home," said Price.